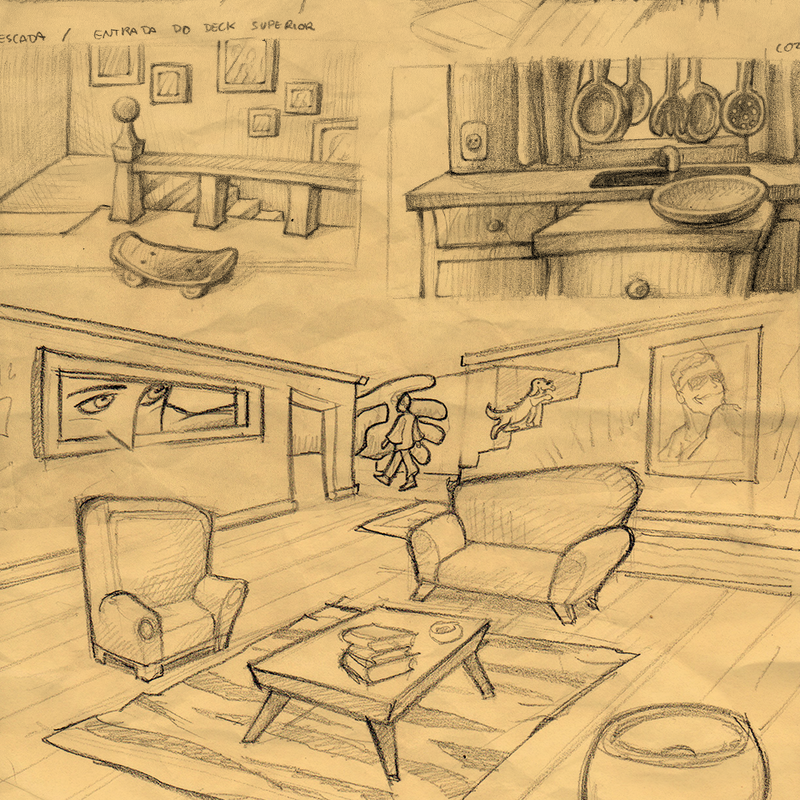 The general ambience and mood of the game comes from initial sketches and concept art. 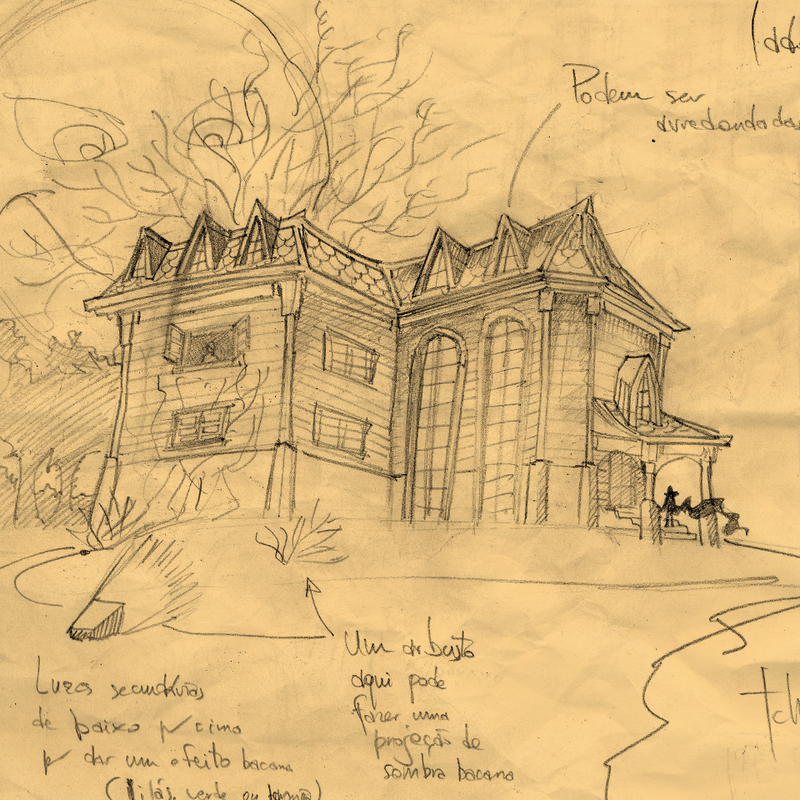 In these two games, we have explored two completely different atmospheres: a playful, colorful house and a haunted mansion. These two games, developed in Unity 3D, were created for an advertisement campaign for Candide, one of the biggest toy Brazilian toy manufacturers. In both games, the player controls radio-controlled helicopters, modeled after the real toys, and have to race through obstacles in two distinct houses. Each level unlocks a new room in the house. Be the fastest in each level to enter your name in the online ranking!